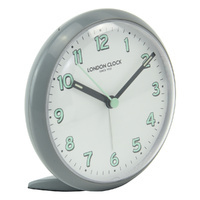 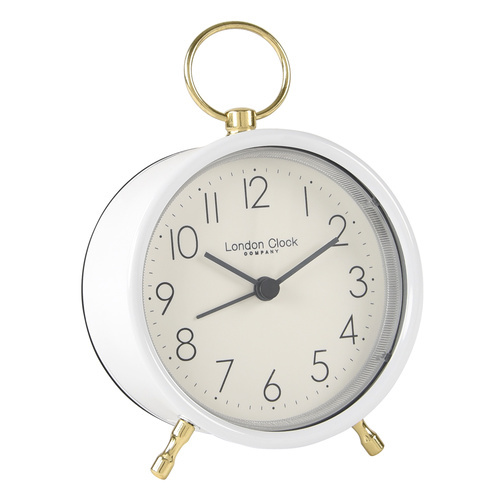 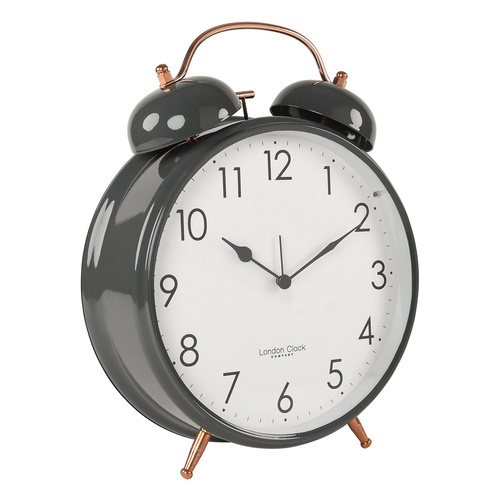 ECHO GREY Grey Case Alarm Clock Sweep Movement Crescendo Beep Alarm Luminous Hands Snooze h:11cm w:10.5cm d:4.5cm A true bedside classic designed for the London Clock Company’s Retro Collection, the smoothly rounded Echo sports a domed lens, white dial and large sans serif Arabic numerals in light green with a black outline and dropped shadow that add to the strongly Bauhaus design. 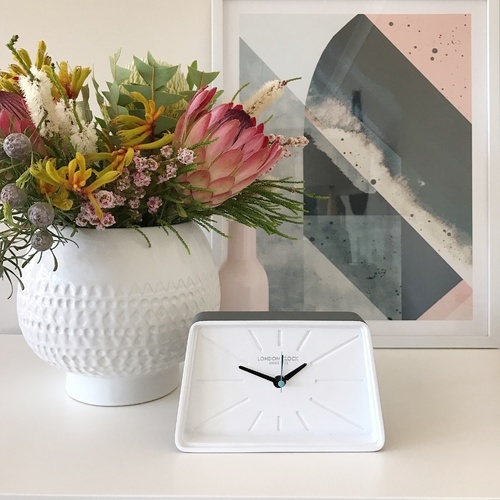 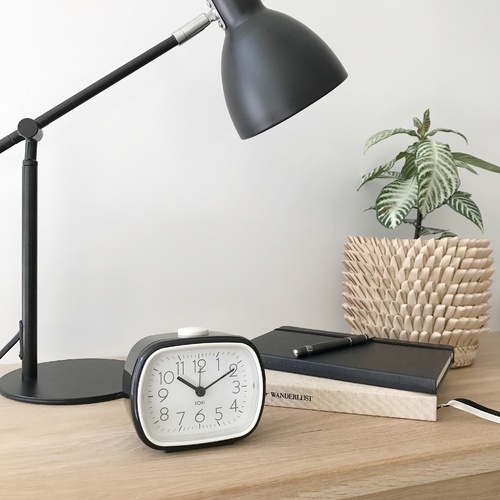 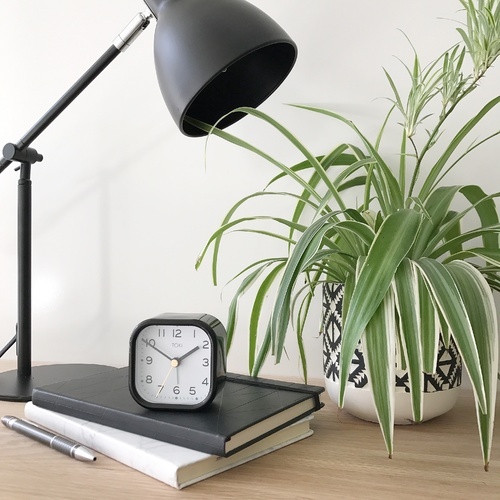 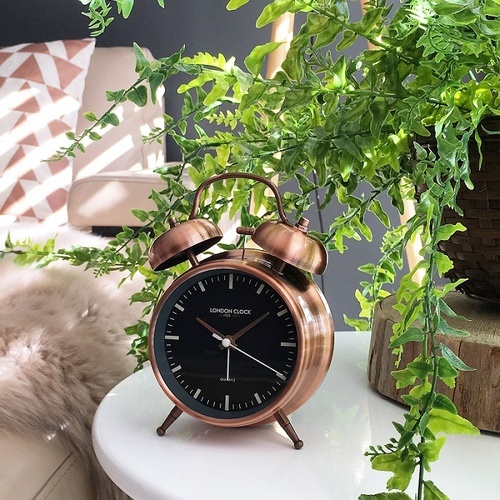 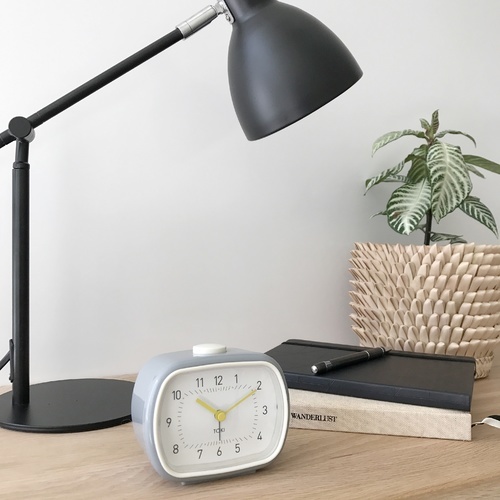 With black hands sporting luminous inserts matching the motif of the numerals and a crescendo beep alarm and snooze function, the Echo can be ordered with either a Grey or Duck Egg blue case, and in both instances comes equipped with our energy-saving silent-sweep mechanism. 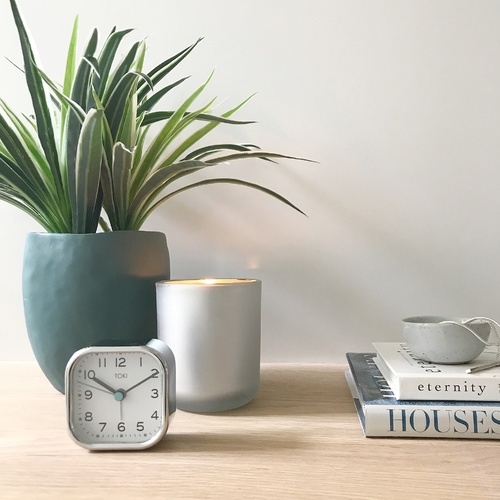 11cm high, 10,5cm wide and 4,5cm deep. 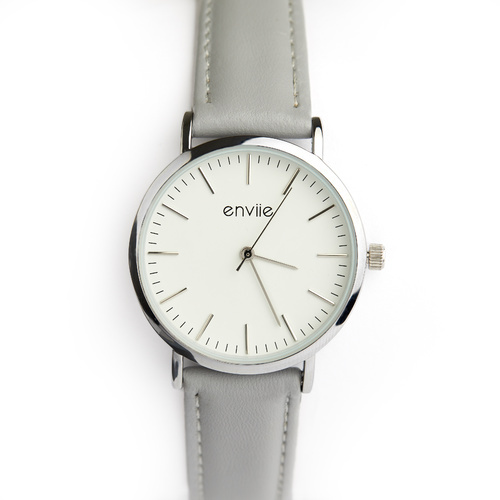 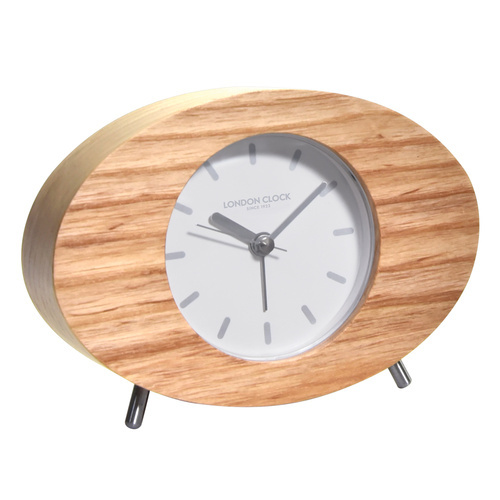 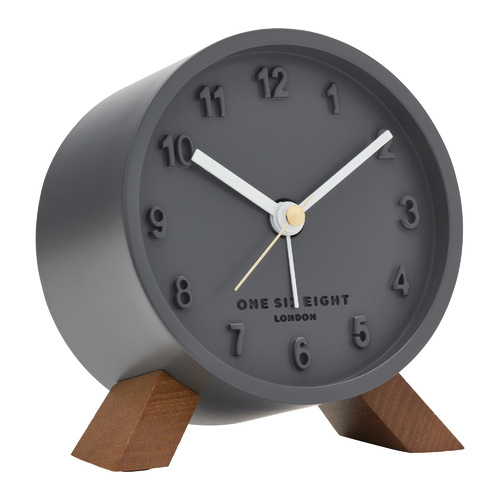 All of our clocks are delivered to your door in their own Giftboxes.